Simon & Schuster recently announced that Bob Woodward’s highly anticipated new book, Obama’s Wars, will be released on September 27th. Look for excerpts from the book to be published in The Washington Post beginning on Monday, September 27th. 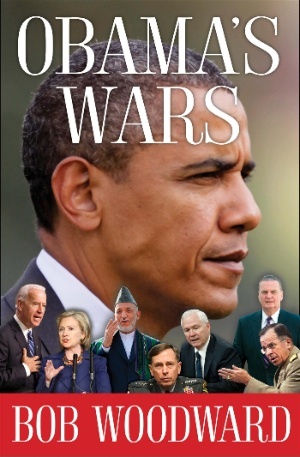 The newly revealed cover of Obama’s Wars shows President Obama along with foreign policy players like Secretary of State Hillary Clinton, Vice President Joe Biden, Secretary of Defense Robert Gates, and Afghan President Hamid Karzai. Anyone looking forward to reading Obama’s Wars?